Is war on the horizon in the Middle East? Iran is certainly arming for one. In fact, what we are witnessing now could potentially be considered the greatest military buildup in the history of the Middle East. Basically what Iran has done is they have pushed all of their chips to the middle of the table and have decided that they are going to develop nuclear weapons no matter what. Now they are arming themselves to the teeth for the confrontation with Israel and/or the United States that they know is coming at some point. We all know that there will be wars in the last days, but when war erupts in the Middle East, things are not going to be pleasant – especially if nuclear, chemical and biological weapons are used. Iran and Israel are caught in a bizarre game of chicken, and Iran is showing no signs of blinking. 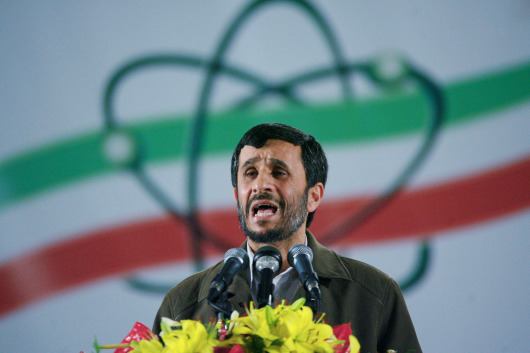 In fact, Iran’s president Mahmoud Ahmadinejad has ordered his country’s nuclear agency to begin the production of higher enriched uranium. Iran seems to have no fear of sanctions or of anything else. Perhaps they realize that Obama has absolutely no interest in a war with Iran. Or perhaps they are just crazy. In any event, Iran’s leaders have set their course and they seem to have no intention of altering it. In fact, they are arming themselves as if a coming war with Israel is inevitable…. *An Iranian air force commander said on Monday that Iran will soon unveil a domestically-made air defense system with at least the same capability as Russia’s very powerful S-300 anti-aircraft hardware. If this is true, it will be a major change in the balance of power. *Iran has begun producing very advanced unmanned drones capable of carrying out devastating assaults “with high precision”. *Iran has also announced that they officially started production of two new kinds of conventional missiles on Saturday. *There are even persistent rumors that Iran is developing intercontinental ballistic missiles that could potentially carry nuclear warheads. If that ever comes to fruition, the United States would be in much greater danger. It means that Iran is desperately trying to develop strategic weapons that will enable it to close the gap somewhat between itself and Israel and the United States. There is no way that Iran can achieve strategic parity with the United States military right now, but if they can put enough of a hurt on the U.S. and Israel they know that the politicians in those two nations will think twice before striking. And that could buy time for Iran to make nukes. After all, the destruction of Israel is one of the stated goals of the Iranian government. In fact, Iran’s supreme leader Ayatollah Ali Khamenei said on Sunday that he believes that the obliteration of Israel “is certain”. Tensions are rising all over the Middle East. 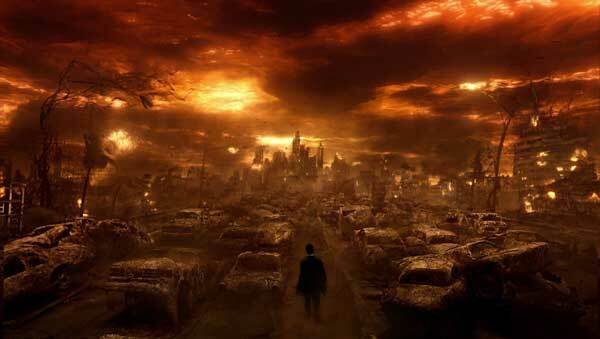 It is being reported that one Syrian government official recently said that Syria is ready for either peace or war. And war seems more likely by the day. According to one new report, Egyptian maritime sources say that the Israeli navy has deployed two missile ships to the Persian Gulf. Not that there is anything too unusual about that, but it is yet another move that is raising tensions in the region. As noted above, we all know that war is inevitable in the last days. But we are also instructed in the Scriptures to pray for the peace of Jerusalem. So let us pray for peace even as things move ever closer to war. As Barack Obama and the United Nations twiddle their thumbs, Iran is aggressively moving towards the development of a strategic nuclear arsenal. 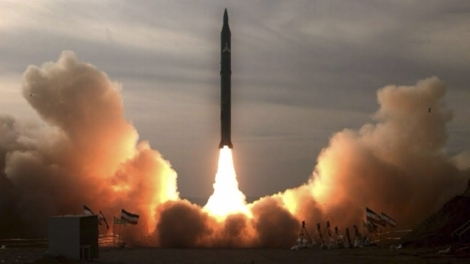 Not only has Iran successfully tested a long range missile that can hit targets well over a thousand miles away, but new intelligence documents show that Iran is actively working on some of the key components necessary for a nuclear bomb. 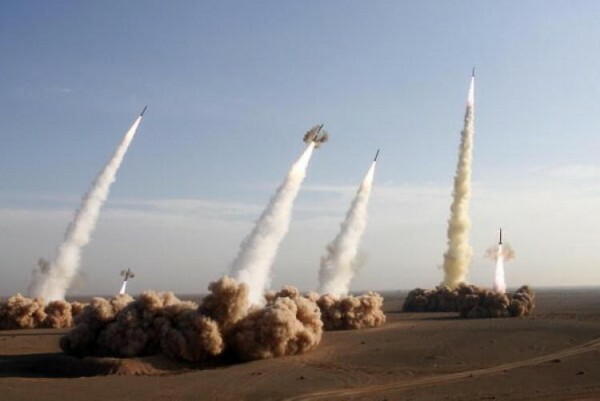 The truth is that Iran knows that once they have an arsenal of hundreds of nuclear warheads, nations such as the United States and Israel will be much, much more hesitant to attack them and they will be able to do pretty much whatever they please on the world scene. The fact that Iran greatly desires to become a strategic military power was underlined just the other day when Iran successfully test fired a long range missile that can reportedly hit targets 1,250 miles away. This will now give Iran the capability to easily hit Israel, U.S. bases in the Gulf, and most of southeast Europe. The Pentagon is so concerned about these developments in Iran that they will actually test its core missile defenses for the first time in January against a simulated long-range Iranian attack. The reality is that it is now only a matter of time until Iran develops even longer range weapons that will be able to directly target the United States. In “Surat al-Fil” (“The Elephant”), one of the Qur’an’s shortest chapters, Allah sends a flock of birds to destroy the followers of Sultan Abraha. In the story these followers of Sultan Abraha were to be destroyed because they were plotting to destroy the Kaaba. So, according to the story, Allah equips these birds with baked clay stones, which they end up hurling at the elephants of Sultan Abraha, supposedly stopping his advance toward the city. Why that is relevant is because the long range ballistic missile Iran was testing is called the Sajjil-2. In Persian, Sajji is apparently translated as “baked clay”, so the name of the missile is actually a powerful allusion to Surat al-Fil. Apparently the idea is that these missiles will be used to destroy the enemies of Allah. Imagine having the continued existence of your family each day depend on an Ayatollah over in Iran deciding not to press a button. And the truth is that Iran is much closer to being able to produce a nuclear bomb than ever before. On Tuesday, Israeli Military Intelligence Chief Amos Yadlin said that Iran has now accumulated enough materials to create a nuclear bomb. Well, confidential intelligence documents obtained by one U.K. newspaper clearly show that Iran is working on testing a key final component for a nuclear bomb. In particular, the documents reveal plans by Iran to test a neutron initiator, the component of a nuclear bomb that triggers an explosion. Why haven’t we heard more about this on the news? David Albright, a physicist and president of the Institute for Science and International Security in Washington is quoted in The Times as saying the following about this trigger…. The mention of UD3 in the documents is of particular concern to intelligence analysts. UD3 is commonly used as a neutron source – the trigger to the chain reaction for a nuclear explosion. But of course Iran continues to insist that they are developing nuclear technology for peaceful purposes only. While there are some politicians around the globe who seem to be buying into Iran’s nonsense, fortunately the government of Israel seems to be acutely aware of what is going on. In fact, Israeli experts are now saying that “the point of no return” for Iran’s nuclear program may be only six months away. Could there be a war in 2010? Or let us hope that it is delayed as long as possible. But the truth is that Israel cannot let Iran have nukes. If you do not understand this yet, please read this article: “Why Israel Simply Cannot Allow Iran To Have A Nuclear Weapon“. So if Iran does not change course, they will be attacked. But one key question is this…. If Israel attacks Iran, will Syria attack Israel? If Syria does attack Israel that could spark a war that engulfs the entire Middle East. In fact, there are rumors that Iran and Hezbollah could be preparing for a pre-emptive war. So what are Barack Obama and the U.S. government doing about all of this? In a move that was supposedly designed to deter Iran from pursuing its nuclear program, the U.S. House of Representatives has approved legislation to impose sanctions on foreign companies that help supply gasoline to Iran. Do you think that the Iranian leadership is shaking in their boots over that? The truth is that this is one of the most bizarre games of “chicken” in the history of the Middle East. Whoever shoots first is going to be at a great disadvantage in terms of world opinion, but the truth is that Israel simply cannot wait forever. These developments represent just another indication that we are really living in the last days before the return of the Lord Jesus Christ.